It is no secret that our users are people of different nationalities all over the world, and it’s our duty to ensure simple and clear enjoyment for our services. 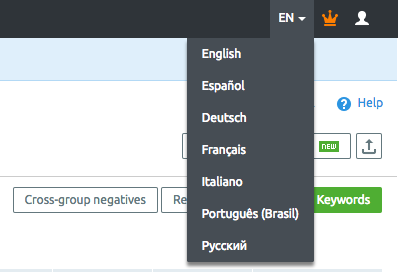 This time our PPC Keyword Tool has finally undergone a remarkable improvement: it now supports 7 languages. Enjoy this update – we hope you find it extremely helpful. Ideas or suggestions? Want us to add any other languages? Hit us up with an email at [email protected].